This eyepiece gives low astigmatism, spherical aberration and off-axis color. This eyepiece includes a soft rubber eye guard and a custom fitted bayonet mount. It folds down for the convenience of eyeglass wearers and protects glasses from getting scratched. 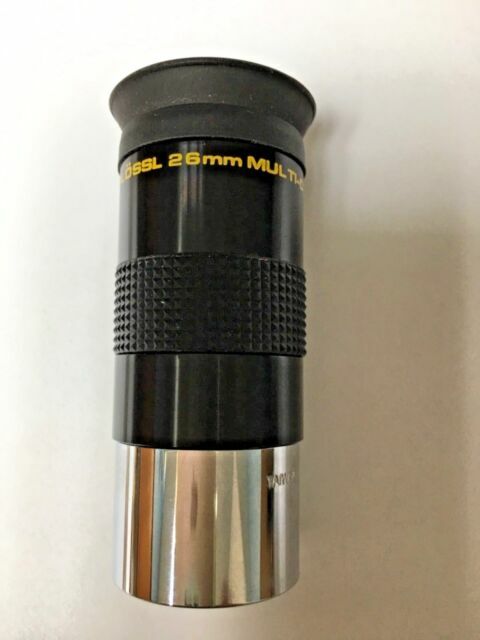 The fully multicoated, black Meade 4000 Series Zoom Eyepiece weighs 0.55 pounds and has filter threads made to the standard 1.25 inches. Designed to fit a telescope, it comes with blackened lens edges and a rubber eye guard to protect the eye and block any interfering light. Its smooth-sided barrel measures 1.25 inches, has a focal length of 8-24mm, and has a field of view of 40-60 degrees.